Delhi has many rewarding jobs in the banking sector. For those who are keen to work in and around National Capital Region, Delhi can be an ideal destination for employment. It has steadily grown as the global city and is the commercial and cultural hub of India. This indeed has led to many multinationals to set up their ventures in the country and hence flourished the banking sector. Banking jobs in Delhi is available in govt and private banks. For Government vacancy, candidates have to check the openings in various newspapers and employment websites. Even in private banking jobs, there are plenty of opportunities available. Some of them are business analyst, credit managers, financial brokers, collection officers, credit managers and many more. You will find various entry level and upper level banking jobs. But finding appropriate job in Delhi depends on many factors as in educational background, previous industry experience and the profile you are looking for. Before commencing your job search at certain profile in banking sector, it is essential that you analyze your personal goals. Does the profile you are applying for match your specifications? Have you overrated yourself? Does your previous experience is valid and fulfills current eligibility criteria? What are the monetary benefits you are deriving? Ensure that all these questions are skillfully answered, before applying for the job. Are you looking for a job for longer period of time? Think upon this question that whether you need a job for permanent basis or you are planning for temporary stays. Accordingly you can plan your search. 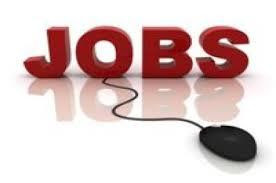 There are various job opportunities which require individuals for shorter span of time. So specify your stay in the organization. Are you proficient to compete with other candidates applying for the same profile. See whether you need to upgrade your skills as per the requirement. You can undertake some crash course which can help you to gain necessary acumen in the sector. Read More: IAS Preparation | How to prepare for IAS, IPS? Bank job positions as in auditors, analyst and managerial positions require higher education. Does your educational background fit the eligibility criteria? Do you hold diploma in financial sector? Many financial institutions arrange for training centers for their employees with various advancement opportunities. Are you choosing credible employers? Does the financial institution you are applying for is of high repute or is in mushrooming phase. Know your employers well. Read their history and the milestones so far. Talk to your friends about the organization and then decide to whether post the resume or not. Certain banking jobs of higher designation require the candidate to clear certain exams. Probe well to search whether the profile you applied for involves any such examination clearance if yes, check for the details. Get yourself registered for such positions. Many banks have gone internet friendly and widely facilitated online registration to aspirants. Nothing can provide you with best experience about the company than its own employee. Get hold of any existing or previous employee of the organization. Ask him/her about the working environment, eminent people in the organization, work pressure and the growth prospects. It would be really upsetting if nothing extra and better is served to you than your previous workplace. Collect all possible information pertaining to the organization. Filter all important things and put write them down on sheet of paper. Now analyze carefully what has been there and what more has to be complied. A well-informed resume can suffice the purpose. Hunting a job is no more a pain if you have skillfully designed professional resume to say all about you. Experts in the industry need proficient hands. If your hold required acumen, mention it in your resume. Make your resume look more appealing and genuine. Don’t fake around with anything in the resume. Organizations are undergoing third party verifications to get the candidate’s authenticity checked. Incorporate necessary additions and deletions to make your resume suit specific profile. After posting the resume it is really necessary that a consistent tab is maintained. Respond to the companies of your interest and ensure a regular check to mails. Make sure that you show up on time and smartly interact with the interviewers. Show your skills and financial proficiency. Ensure them that hiring you would be bringing an asset to the organization rather vive-versa. Thanks Subhadra !! this post may help more easier to find Gov. job. It's good news for us, Naukri is starting share Gov. job also. Thanks for sharing this informative post.Most of the peoples are like to do jobs in Delhi and Banking sector is one of the most favorable sector. I also like to move in this field.